Germany's most famous brewery opens its doors to the public each week to share (some) of the secrets of their world-famous brew. The Hofbräuhaus is a must-see for anyone in Munich or in any of its affiliates across the globe with one of the most boisterous tents at Oktoberfest. But what exactly sets this establishment apart from the many other beer halls in Bavaria? Some would say, the beer and its illustrious - and sometimes notorious - history. 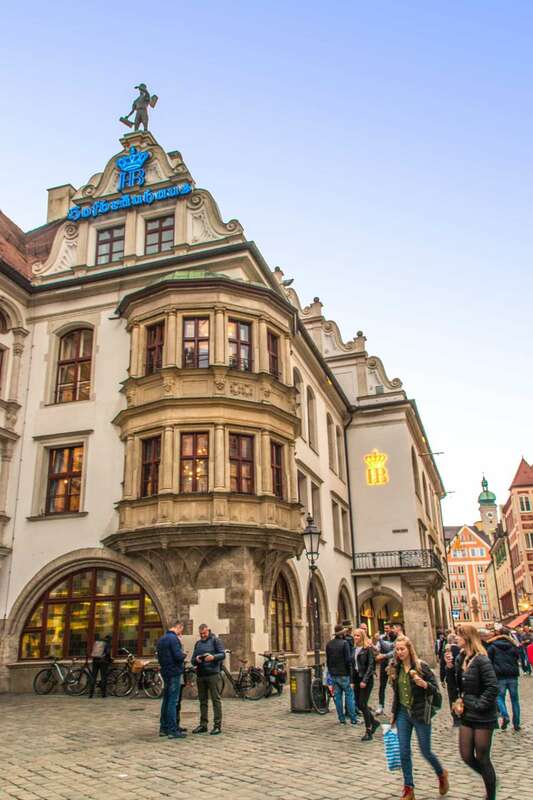 The Hofbräuhaus has royal roots as the Royal Brewery of the Kingdom of Bavaria established in 1589. Eventually these hallowed grounds were opened to the masses and the Hofbräuhaus and its beers found their place in history. This makes it one of the oldest beer halls in Munich, still operating in almost the exact location as when it served Kings. Not all of the Hofbräuhaus' clientele have enjoyed such a lasting positive impression. The Hofbräukeller is the Bavarian restaurant with a beer garden located near the rowdy hall at Hofbräuhaus am Platzl. Owned by Hofbräuhaus brewery, it was once the meeting point of Adolf Hitler's first political speech as member of the Deutsche Arbeiter Partei on October 16, 1919. He followed that meeting with a 25-point National Socialist program on February 24, 1920. However, it is doubtful that this beloved site was ever a favorite of Germany's most infamous Führer. Hitler was not a fan of alcohol, red meat, or smoking - all hallmarks of the Hofbräuhaus and its over-the-top persona. This national treasure is now owned by the Bavarian state government and attracts tourists, celebrities and regulars from Germany and abroad. Along with the atmosphere, people come to drink the beverage of the gods - great German beer. If your interest extends to the making of the beer - not just drinking it - the brewery tour is a unique behind-the-scenes look. Devote between 60 and 90 minutes to learning every step of the brewing processes from the sticky smell of the hops to fermenting to conditioning to tasting. End your education by sampling the freshly tapped unfiltered beer with Bavarian snacks. If a taste is not enough, the pub at the end of the tour allows you to continue your "sampling". If you want something more permanent than a headache to remember your visit, there is a souvenir shop full of beer paraphernalia. Start Point: Meet the group at the Hofbräu Bierstüberl (address: Hofbräuallee 1 in eastern Munich's Riem district) and check-in at the entrance for a visitor's pass. Important Notes: Tours open to visitors over the age of 16 and it is recommended to wear closed toes shoes. During Oktoberfest brewery tours do not take place.